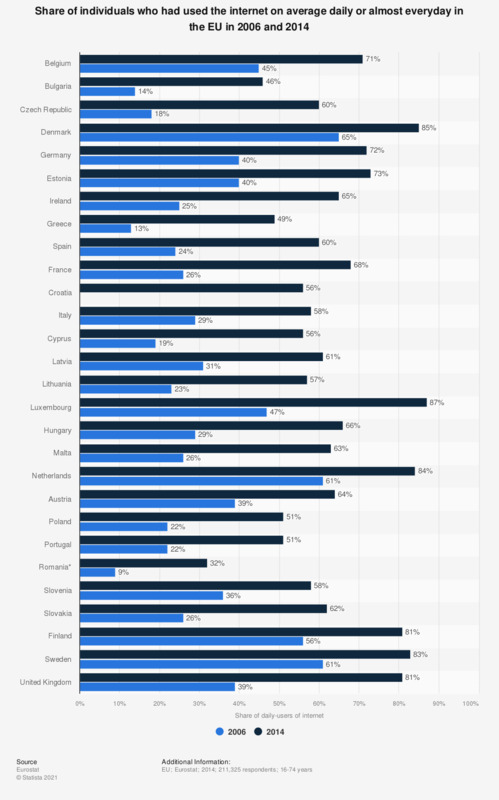 This statistic shows the share of individuals who had used the internet on average every day in the EU in 2006 and 2014. In 2014, 85 percent of Danish adults had used the internet on average daily, or almost every day. The source adds the following information: "Data for 2014 were aggregated from microdata transmitted by all EU Member States." Statistics on "Internet usage in Australia"